DENVER — Content Provided by the Colorado Garden Foundation. 9NEWS is a sponsor of the 2019 Colorado Garden and Home Show. 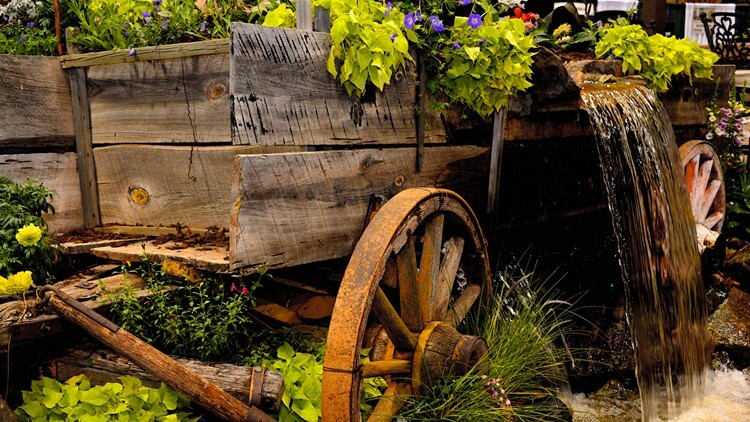 The 60th Annual Colorado Garden & Home Show will feature more than 600 companies from 25 states and Canada. The show will feature new technology in landscaping, gardening, energy-efficient heating and cooling products, window treatments, siding, flooring, lighting, indoor and outdoor fireplaces, patio furniture, gutters, sound systems, storage systems, greenhouses, decks, spas and more. How to homestead: What you need to know to be able to grow and raise your own food in urban and rural settings. How to plant select: Know how to choose plants that will thrive in Colorado’s arid climate. How to stay independent: In-home technologies and design features that allow aging adults to stay in their own home. American Family Insurance Kid’s Zone: Complete with a playground, games and other activities. Be the master of your own backyard: Water, deck and patio features, plus technology that will make you the envy of every neighbor. Gardening as a physical therapy tool: Check out the Accessible Garden to see how therapeutic gardening can be. The Great Outdoors Colorado Entry Garden, a 5,500-square-foot outdoor adventure-themed garden at the main entrance of the show. Accessible Garden, featuring ideas and support for gardening enthusiasts with limitations, which is Garden M near row 300. Space-saving Murphy Cabinet Beds, the only “wall” bed that does not need to be attached to a wall at booth 2307. Reclaimed Barnwood, with options that include re-sawn dimensional wood, vintage hand-hewn beams, beautifully weathered siding for interior or exterior walls at booth 438. The annual flower sale, on Feb. 13, where you can fill your home with fresh flowers for just $2 per pot. Proceeds support the Arvada Rotary. Find the flowers at the main entrance of the Show. Plant Select® are the best Colorado State University Annuals & Perennials from 2016 Trials presented by Master Gardener and CSU professor James Klett at the Bellco Theater. See times and the full list of sessions here. These trends and more will be at the 60th Annual Colorado Garden & Home Show, at the Colorado Convention Center, Feb. 9-17. Tickets and more information can be found at coloradogardenfoundation.org.